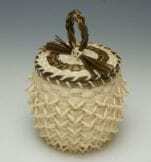 A handsome large basket by Cherokee basket maker Agnes Welch. 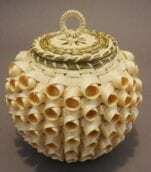 Welch, born in 1925, learned how to make traditional Eastern Cherokee baskets from famed weaver Lottie Stamper, who taught at the schools in the Qualla Boundary in North Carolina for many years. Read about the artist by clicking here. 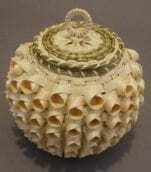 Approximately 8 1/4 inch diameter at its widest x 7 5/8 inch high. 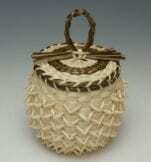 A handsome large basket by Cherokee basket maker Agnes Welch. 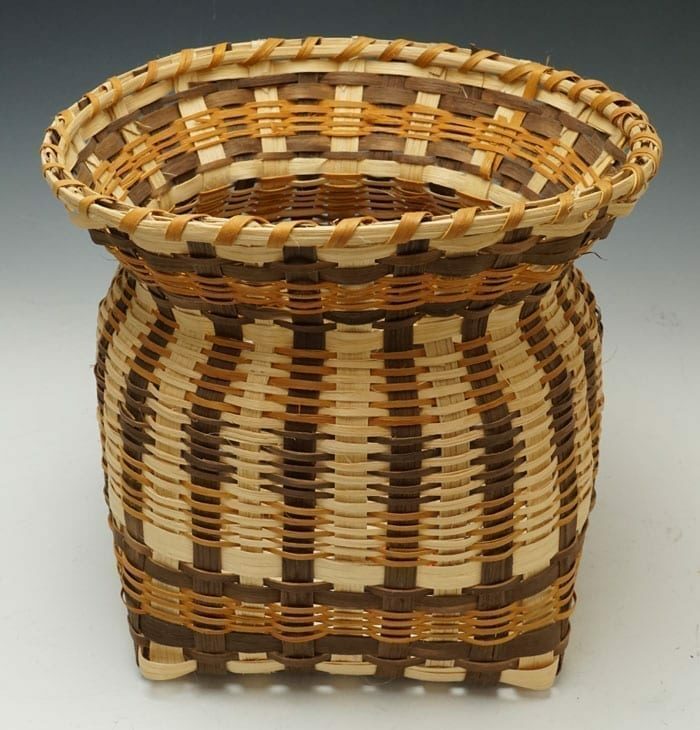 Welch, born in 1925, learned how to make baskets from famed weaver Lottie Stamper, who taught at the schools in the Qualla Boundary in North Carolina.